20 Grams Of Plant-Based Protein Powder! No Dairy, Gluten, Tree Nuts, Peanuts, Soy Or Egg! People Often Ask Us How We Always Feel Good, Look Great, And Recover Faster. The Answer Is Simple: Don't Feed Your Body Food That It Wasn't Meant To Eat. 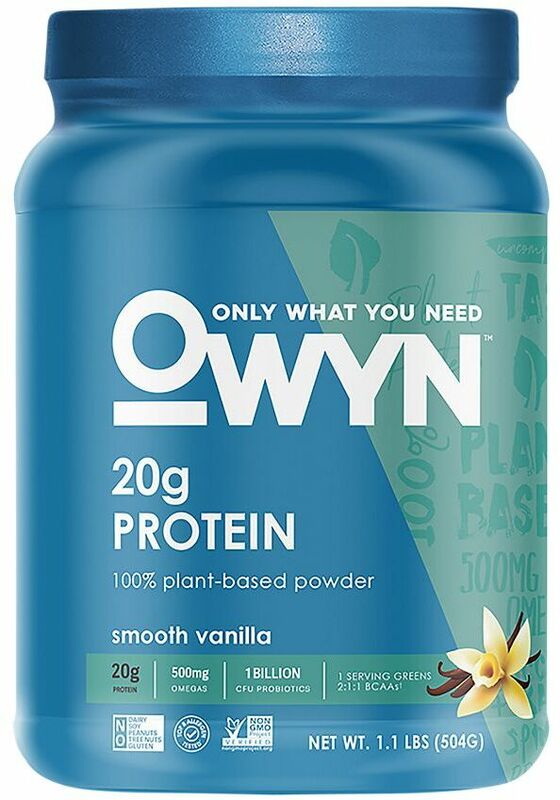 You Are Holding The Perfect Protein Powder Made With Only What You Need—No Dairy, No Garbage, Nothing Artificial, And Free Of The Top 8 Allergens. 100% Plant Based. Uncompromised Taste. Use "Only What You Need" To Achieve All That You Can. No Dairy. No Gluten. No Tree Nuts. No Peanuts. No Soy. No Egg. Vegan. 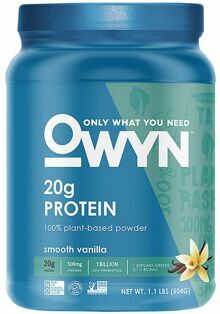 OWYN Is For: Pre Workout Boost. Post Workout Recovery. Balanced Nutrition.